1. Carnival Cruise Line announced that its upcoming ship Mardi Gras will feature the first roller coaster at sea. 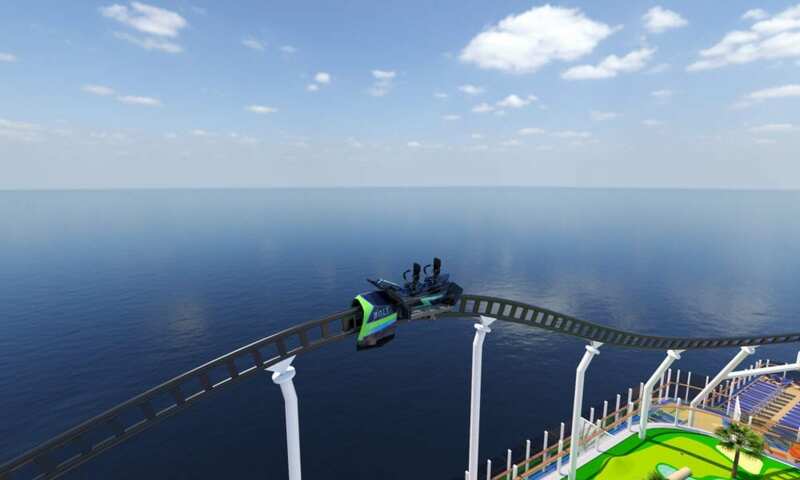 Named Bolt: The Ultimate Sea Coaster, the industry-first ride will feature passenger-controlled motorcycle-like vehicles capable of traveling up to 40 miles per hour that will speed along 800 feet of twists, turns, and drops that culminate in a hairpin turn around the ship’s funnel – all at 187 feet above sea level. 2. Carnival Cruise Line also announced a new blimp tour in anticipation of Carnival Panorama’s arrival in California next year. The month-long tour will begin on December 31, 2018, and travel throughout California, flying over events and places like The Rose Parade, sporting events, and Carnival’s homeports in Long Beach and San Diego. 3. A elderly couple aboard a Cruise & Maritime Voyages cruise ship got caught trying to smuggle 20 pounds of cocaine on a recent cruise. While the ship was docked in Lisbon, Portugal, officials arrested the cruisers, aged 70 and 71, after seizing 20 pounds of cocaine in their on-board stateroom. 4. Bookings for MSC Cruises’ 119-day long cruise World Cruise on-board MSC Poesia for 2021 went on sale this week. Though a world cruise, the itinerary places a focus on visiting unique Asian ports. Bookings start at just over $15,000, which includes 15 excursions and a mealtime package. From the newest ships to sail the seas to the most advanced technology introductions in the industry, cruising is evolving, and we’re excited about it. Increased competition is forcing cruise lines to come up with more innovative ways to attract cruisers, meaning we get to enjoy the results of their new designs. Read more. View a complete, deck-by-deck tour of MSC Seaside. Home-ported in Miami, this ship operates seven-night Eastern and Western Caribbean itineraries.